Spiro is a sales focused CRM that is so easy to use it automatically updates itself. "It is the ideal virtual assistant!" With this tool I have been able to count on a digital assistant of maximum power and this has saved time, it has become my ideal assistant since with this tool I can remember important data for me as my contacts, appointments, next sales among others things, this tool is ideal to promote and promote sales and based on this creates database of potential customers and that is very positive for any organization. What I do not like about this tool is that it has so many but so many options that you definitely have to invest some time to get to know the tool and be able to use it or make the most of it, but it will be worth it since this tool helps to obtain those so Abound potential customers creating very solid databases and high quality because it guarantees that the information will not be duplicated. Very simple if you need a digital assistant, who is also able to remember appointments, develop reliable database of potential customers and also offer details on possible impulses for sales and promotions of some product simply should be taken in consideration the use of this tool in addition It will save a lot of time. denifitivamente in my organization has been very useful this tool because with this has saved a lot of time at the time of developing reliable database with potential customers, fulfills its main function is to serve as a digital assistant of last generation, simply this tool is great! "A software with innovative ideas that came to boost our business"
The best thing about Spiro is the sales opportunities it provides when adding contacts and business opportunities, because we can do it in different offices and always have knowledge of what happens. There is a close and excellent relationship between the sales staff and our customers, and its easy use allows all the work to be done in the best way. The truth is that we have not encountered problems that cause us to have problems with customers, as long as we maintain that good run and customers are happy we will be. The truth is that you have the ability to implement new things in order to be successful and with Spiro you achieve what you have done, the productivity rate increases and profits are increased, and knowing that you increase profits is all you need to know to be able to implement it in a company. Total recommendation. The close communication that is maintained between the sales promoters and our clients has made our business grow, it facilitates our work by having the ability to transfer contacts. Thanks to Spiro our staff have a better understanding of the sales funnel in the organization. "Very Intuitive CRM - Efficient Implementation - Excellent Customer Service"
The people behind the software are excellent. I've been through software implementations, and this was the best experience I have ever had. With so much data to organize and update, the Spiro team were diligent from beginning to the point where our team could fluently interact with the platform. The interface is well designed, which again, leads back to the Spiro team knowing what the end user truly needs to lever productivity. Data migration and set up never moves as fast as you want. It's not a criticism of Spiro, but if you want a meaningful CRM and data system it takes a lot of time. Spiro should emphasize the importance of patience. Also, I think the dashboard could be better customized for our workflow. Need to commit completely to Spiro as CRM. Do not try and work between Spiro and another CRM. Spiro should be the ultimate source of information. Lead Gen, converting leads to clients, and meaningful reminders and notes for deal execution. The benefit of the system is that we are more proactive and effective. I love how easily it is to set up follow up notifications. You can ping spiro to set follow up reminders, to let you know what your current workload is, to let you know what actions other sales people have taken in a specified period of time. Because it uses AI, it is a proactive tool, as much as a reactive tool. I have not encountered anything that I dislike with this CRM. It has so many helpful features, I am very impressed. Being able to easily set up follow-ups via ping has helped our team quickly and consistently follow up with potential clients. You can make calls directly through the CRM and sales reps don't have to put a lot of effort into logging those calls, which is helpful. the simple layout of their features, the way they are able to do actions less clicks of the user and more behind the Scenes. I would have like to see more email sync features and better opportunity filtering on the mobile app. Better outside importing of new opportunities. More available support for items needed. Great people, make sure you keep tabs on the employees that they are using more than 20 min a day and it will payoff greatly. Follow up on quotes, we where able to see multiple pipelines of different products what needed more attention to close more sales. Automatically get updates on pre-generated reports consistently without someone having to actually do the work. "Amazing CRM functionality, competetive tool for small medium businesses"
My work revolves mostly around sales and marketing function, thus this CRM capabilities around Lead management, Opportunity management, marketing automation make process flow easy and in a discipline approach. The one I like the most is the analytics features with in-built templates for dashboards reports and managing email campaign through it. This is best tool for small businesses, at times you face difficulty in pushing multiple campaigns simultaneoulsy. Overall nice product to meet the requirement. Best AI Driven CRM tool for small business. This suits for most of the business requirements for small businesses. Since it is AI driven, it helps in analyzing the trend and make decisions effectively. This tool certainly has helped us in managing lead management, lead flow process and lead scoring. Also this helps in managing the database and leveraging the data for analytics. Spiro is a financial adviser that helps our company close new sales with their clients. We can use it to close contracts, and product sales from the labs in our hospital. Spiro is a very good software that advises new sales ideas and projects for companies. I dont see any problems with it. Spiro is very useful for a large company of many workers. Using this for sales, your employees have to be trained with the software for it to excell. Spro helps us make and close more sales with out clients, and keep our business thriving. Spiro is extremely intuitive and the assistant recommendations are amazing. Actually my favorite feature is the email assistant, where I can just send emails and it can automatically add opportunities or set reminders. The nature of my business I have to connect with the Flower Market inventory system for my clients and there is no integration. I have to manually enter the names of the flowers for the different seasons. If someone is using their free product contact their support team to see the team edition feature as you will have a better opportunity to see their features and analytics. Automatically track all my customer interactions allowing my team to easily follow-up. The analytics and smart recommendations helps my team keep in touch with all my prospects and customers during our sales cycle. "For sales peeps who hate CRMs"
the user interface is very easy to use and can be custom designed to meet your unique process and sales model. the company is young, and the product is growing, so updates can come quite often. our sales team was weighed down with SalesForce and dreaded using the tool, so our data was very poor. The tool is easy to use and fits their needs without too many steps to slow them down. "Best for lead generation and targeting right audience"
Its completely user savvy and more filter options are available to drive down the accurate information. Result oriented and provides with all required analytics and reports. Opportunity Management and Pipeline management features are really best. Data integration is quite slow as compared to its competitors. They should also work on their customer support. Best tool for lead generation visibility. Sales staff will be more productive. I would highly recommend Spiro for the people who are looking for the best tool in this domain. Lead Reporting works awesome. TAT has reduced only because of Spiro. Sales guys are able to achieve their targets . Its really helpful fro them. I used Spiro CRM above one year its keep update company info. Only I think spiro has developed the integration for some of the lead generation. The best tool for lead generation. I definitely recommend Spiro CRM, Its very intuitive. Updates company info and reduces similar data entry tasks. Infact,i ike Spiro because of it is extremely intuitive and the awesome assistant recommendations. According to the state of my business,I have to connect with the flower market inventory system for my customers and their is no integration.so I have to do it manually. The analytics and smart recommendation assist my team in touch with all my prospects and clients that is during our sales time. "Most effective and streamlined CRM on the market today!" I've used several CRM tools throughout the years and most are just more work than they are worth. Spiro's Intuitive integrations allow for seamless record keeping in a minimal amount of time which allows me to focus on what really matters - Sales! The only thing that I would suggest for improvement would be to develop integrations for some of the lead generating databases out there. The mobile tool allows for access to pertinent info on the fly and keeps records flawlessly. My job consists of multiple duties and sometimes my sales calls can be put on the back burner so the automatic sales reminders are my saving grace. It truly is a all in one CRM with the email campaigns, lead management, and full marketing integration. The program can be slow at times which if you are trying to convert leads and track calls, this can take a lot of time. Using Spiro to track lead management and be more productive with our sales. "Ok tool, some automation but not a ton"
It's not as robust from a field or customization standpoint. The AI is good, not great. so there's still a chance an email will fall through the cracks. Without being 99% reliable, not sure the AI is where it needs to be. Managing a sales pipeline for our webdevelopment business. It has gotten us off Google Sheets and reduces our deal data entry. 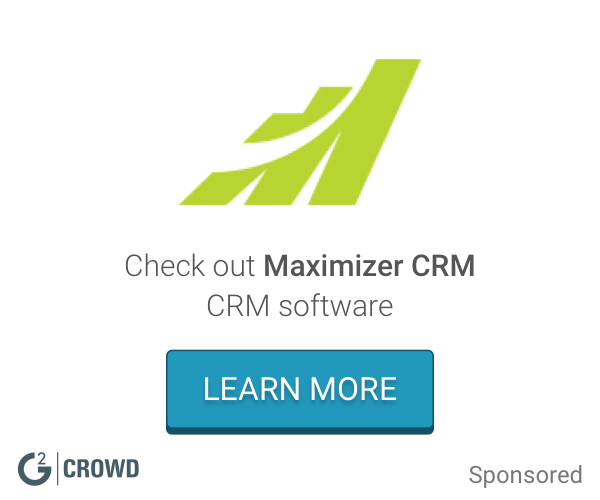 "Spiro is a great crm that can do it all"
Spiro is great. I used it for the last company I worked for. It's a great tool for sales people and it also.sets reminders.and appointments so no sale is left behind. The price was a little expensive but the user experience was phenomenal. There were inefficiencies in the pipeline that Spiro was able to solve. "So helpful and efficient for sales management "
The program is very user friendly and efficient. I did not find anything I dislike about the application. I’m able to easily organize teams and contacts. Also, helpful for follow up. * We monitor all Spiro reviews to prevent fraudulent reviews and keep review quality high. We do not post reviews by company employees or direct competitors. Validated reviews require the user to submit a screenshot of the product containing their user ID, in order to verify a user is an actual user of the product. Hi there! Are you looking to implement a solution like Spiro?